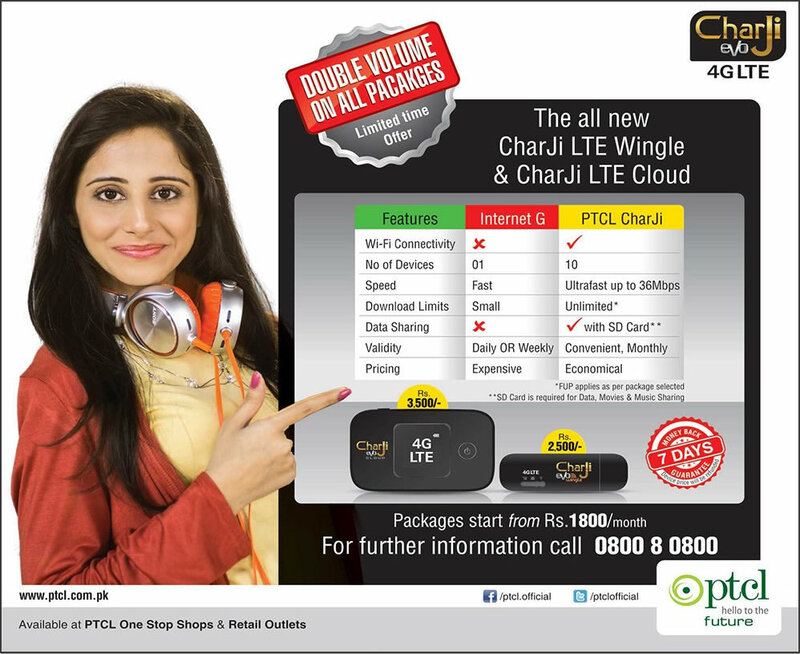 All new 2 Mbps customers can now enjoy unlimited package without paying any extra charges. 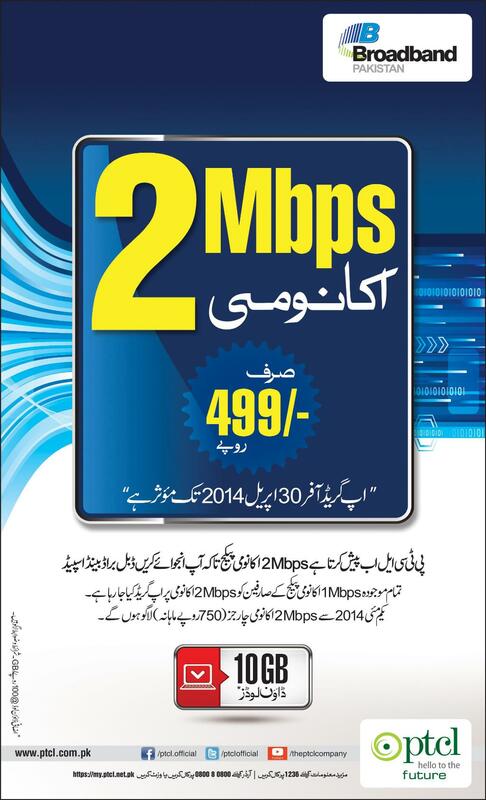 After promotion period Rs 1,549 will be charged for 2Mbps Broadband. No extra charges will be charged to customer before 31-December-2015. 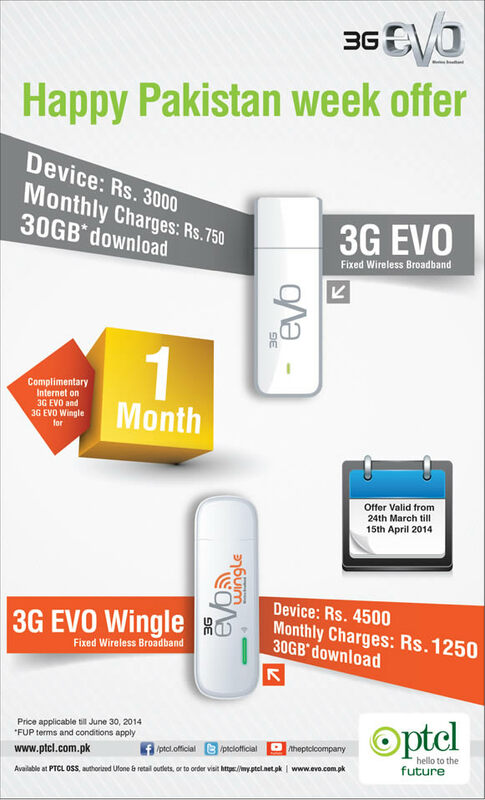 This discount is not valid for Smart TV Set Top Box & standard charging policy of Set Top Box will apply. 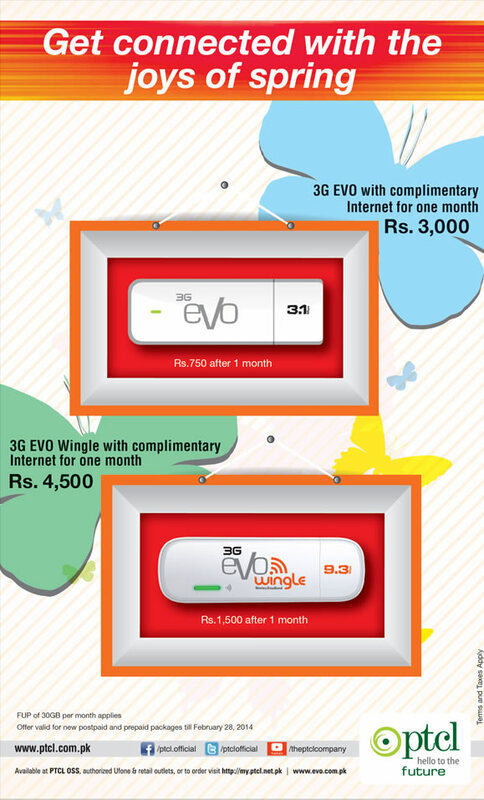 This offer is valid upto 31-December-2015. Under this promotion, inactive PTCL EVO, Nitro, EVO Cloud, Nitro Cloud & EVO Wingle customers who have not recharged their pre-paid devices or paid post-paid bills since 10-December-2013 will be given a complimentary trial of EVO services with 2 GB of internet for a period of 15 days without any recharge. 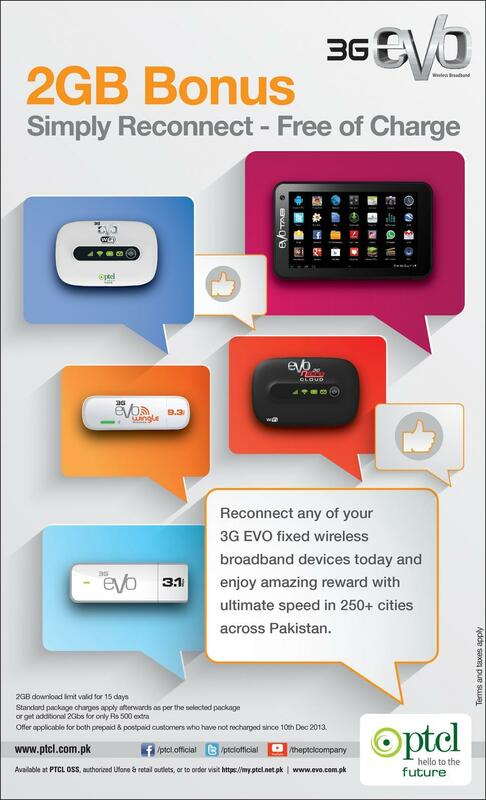 Available at PTCL OSS, authorized Ufone & retail outlets.